This is a national competition and each state can submit only one essay. 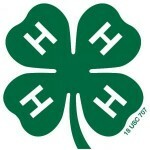 All submissions from Kentucky 4-H students will be reviewed and a state winner selected. The winning essay for Kentucky will be submitted to the national competition. Students interested in writing an essay should contact their local 4-H office for contest details.